In the year 1994, a survey was done with learners and parents, to determine whether there was a need to introduce girls’ hockey as a sport at DF Malherbe. Upon completion, Mrs. Karen Hauman started with basic skills training. The following year – in 1995 – DF had one girls’ hockey team who played in the 5th league. At the time, DF had no hockey fields, and all matches had to be played away. Nonetheless, this was the foundation which led to DF girls’ hockey growing from strength to strength. Since then, girls’ hockey has developed tremendously from one team playing in the 5th league, to five teams – with the 1st team playing in the premier league against all the best schools. Girl’s hockey at DF has an immensely vibrant and supportive culture. If one describes girls’ hockey at DF as being one big family, it most definitely is not a cliché. Playing hockey at DF is not just about attending practices, learning new skills, and playing matches. Rather, being part of the girls’ hockey at DF cultivates friendships, loyalty and most importantly – spirit. Coaches at DF have always relied on the tremendous spirit shown by the players in the toughest situations. When they needed that one goal to defend in a hard fought match, players would come together and showcase an immense will to succeed, which more than often resulted in success. The 1st team girls’ at DF is the goal for any young person coming to DF, possibly not ever having played hockey before. The culture of DF’s girls’ hockey lives in the players and coaches of the 1st team. 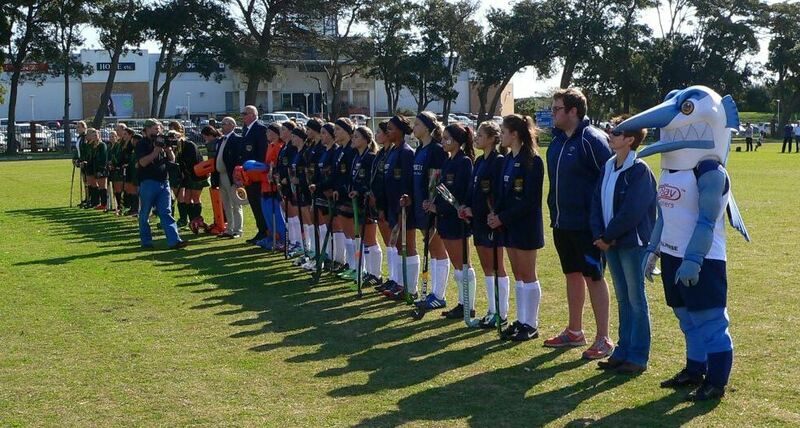 DF 1st girls’ hockey have toured around South Africa, with destinations including Western Cape, Gauteng, Free State, and most recently – Mpumalanga. The 1st team also participates at annual festivals – alternating between the Cambridge Festival in East London and Westering Festival in Port Elizabeth. In summary, girls’ hockey at DF is about culture, spirit and most importantly – enjoying the wonderful sport that is hockey. Whether starting off as a new player, or as a seasoned professional – DF girls’ hockey welcomes everyone to be part of this ever growing family.